Updated 30th Dec, 2016 - Looks like Shopify have been busy and brought back another 3 free Shopify themes with sections now enabled. The updated themes include Pop, Simple and Supply. You may have noticed some changes have been happening on the Shopify Theme store. Specifically surrounding the introduction of Section capabilities that have now been added to themes. So with these changes we have updated our free Shopify theme comparison matrix to make it easier to see what capabilities are provided by each theme. Shopify recently announced some changes to the Shopify platform whereby they have introduced new section theme capabilities and a new UI for the theme editor. This is all great and definitely a step in the right direction to make the content management experience much better in Shopify. Looking for a great summary of all the features and capabilities offered by each of the free Shopify Themes available? Then look no further, this matrix we have put together will give you a quick summary of all the features of each theme plus links to supporting resources such as the theme details, styles available, links to demo sites and supporting documentation. You can now feel confident in selecting a free Shopify Theme that will more likely suit your needs. That's right, free. All you have to do is use this referral link to setup your Shopify site. So you have been looking into setting up ecommerce capabilities for your business. In your research you have come across the Squarespace and Shopify ecommerce platforms and they both look quite compelling. You are probably scratching your head now wondering - how do I choose? This post will endeavour to help provide you with guidance on why you would select one platform over the other..
Should I use Shopify or Squarespace for my eCommerce website? 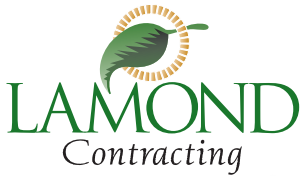 Lamond Contracting is an established Commercial & Civil Landscaping Construction company looking to create a new website to project a professional, capable and innovative image. They needed a website that would appeal to many of their prospective commercial clients such as councils, local government, large commercial companies and organisations. The website also provided further opportunity to promote other parts of the business with their maintenance services offer and plant hire in addition to a secure staff area for collaboration. Business is going really well for Lamond Contracting and they are really happy with the website refresh. The new website will not only further establish Lamond Contracting in the landscape construction sector but make it flourish!